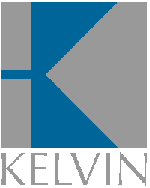 Since 1927, Kelvin has developed a broad range of products, based on its core activity of gear-wheel manufacture, as well as services on-demand. Gear systems, geared drive units, specific parts: all our production is made in our Madrid factory, in Europe, in accordance with ISO standard 9001. Most of them are compatible with renowned brands in the motor expertise, such as Dunkermotoren, Bosch and Buehler Motors. Assembly, Supply-chain delegation or development or bespoke solutions, we have a service offer that may suit your needs.